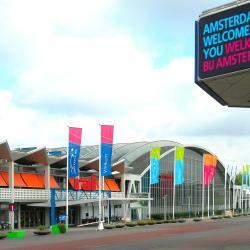 Looking for hotels near Museum of Bags and Purses Hendrikje? Featuring free WiFi throughout the property, Hotel The Bird offers accommodations in Amsterdam, 328 feet from Rembrandtplein. Each room is equipped with a flat-screen TV. Loved the proximity to sites, the cleanliness of hotel and friendliness of staff! Prinsenhuis is situated in the heart of historic downtown Amsterdam on the famous Prinsengracht canal. The apartment offered beautiful views. Location was perfect and tram stop was easily accessible. 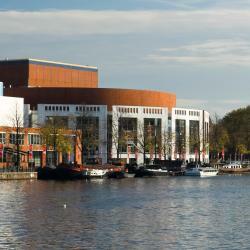 A 4-minute walk from the Rembrandtplein entertainment area, Hotel Prinsenhof Amsterdam offers simply furnished rooms. Helpful staff. Location was excellent. Canal and cafes steps away. Also, trolley 10 steps away. Amsterdam House Hotel is set in a monumental building decorated with flowers and overlooking the Amstel river. This hotel is one of Amsterdam's best jewels. Hotels with great access to Museum of Bags and Purses Hendrikje! 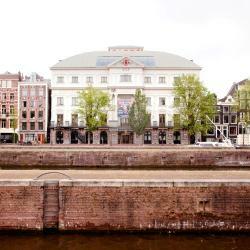 Hotel Des Arts is around the corner from the Kalverstraat shopping area, in the heart of Amsterdam. 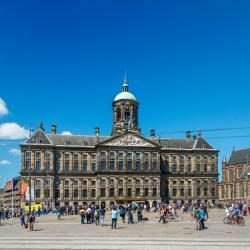 The Dam Square, Royal Palace and the Flower Market are all within 1640 feet. - Prime location, near to everything and very well connected. Hotel Nes is located in a traditional canal house alongside the Amstel River. It offers a lounge with fireplace and is a 10 minutes’ walk from Royal Theater Carré and the Hermitage. Location was perfect! We could walk to the main square, Van Gough museum, train station. Everywhere! 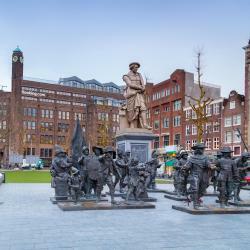 Hotel Atlanta is on the edge of the lively Rembrandt Square with many bars, clubs and restaurants, only a 3-minute walk from the Flower Market. The staff was beyond friendly and helpful. They were always happy and wanted to help us.